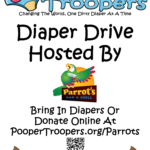 Interested in hosting your own Diaper Drive? Here’s how it works! The Pooper Troopers will create a dedicated web page on our site for your company. For an example, please visit poopertroopers.org/parrots or poopertroopers.org/ssmhealth if interested in a competition. The Pooper Troopers will create a customized flyer for you to hang around your office. Click this image for an example. A dedicated Amazon Wish List will be built for your company. All donations through the website will be counted and shipped directly to the Crisis Nursery. After that, you basque in the warmth of knowing that you made a HUGE difference in a child’s life! 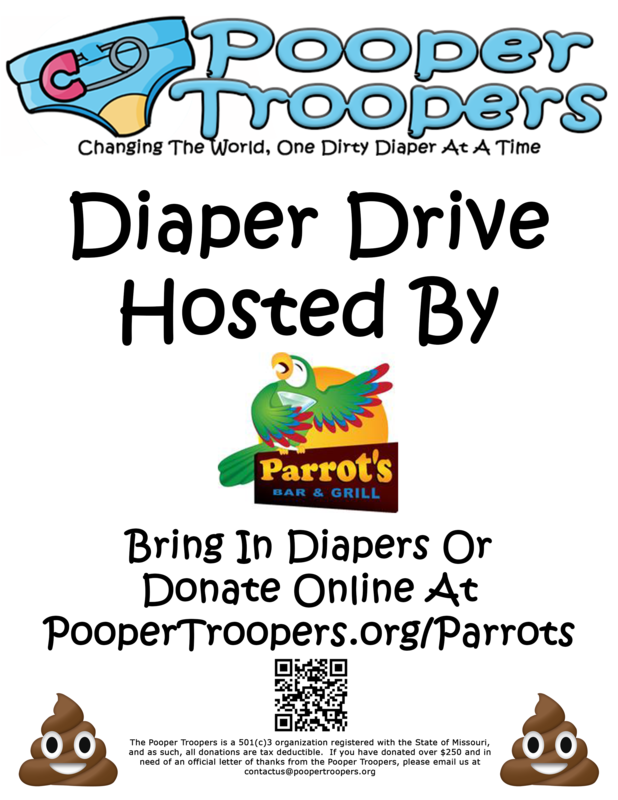 Parrot’s Bar & Grill Diaper Drive. KMOV/Aldi Diaper Drive Huge Success! KMOV Kicks Off Diaper Drive.